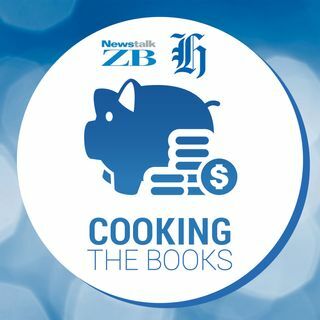 OPINION: Each week the New Zealand Herald and Newstalk ZB's Cooking The Books podcast tackles a different money problem. Today, it’s the reasons women need to save more for retirement, and how to deal with it. Hosted by Frances Cook. Many of us aren’t prepared for retirement, but the deck is particularly stacked against women. Spend a moment thinking about it, and it becomes obvious why. Women earn less than men, on average about 12 percent less. So if you’re saving a percentage of your ... See More income, you’re already off to a bad start with less in the kitty. Then there’s the common reality of having a family. Right or wrong, it’s usually women who take time out from the workforce in order to raise the kids. When you stop earning, or shift on to part-time work, your retirement savings will obviously take a major hit. Earlier this year ANZ released information showing that the average woman would retire with almost $80,000 less in their KiwiSaver accounts than a man. When you look at the percentages, the average woman’s account balance is 19 percent lower. These facts are particularly worrying when you remember that women tend to live longer, around four years longer on average in New Zealand. So, we need more retirement funds, but we actually have far less. Maybe you plan to split the nest egg with your partner, the one you had the family with. Which is totally fair and reasonable, except for the problem that divorce happens. It not nice, but it’s a reality, and it’s an expensive one. Even if you manage the miraculous fair split of assets, which many don’t, a lot of money will still be eaten up by lawyers’ fees. It’s not a hopeless situation though, just one that women need to deal with. I’m talked to Amanda Morrall, author of personal finance book Money Matters, and also spokesperson for Simplicity, a non-profit KiwiSaver scheme. We talked in more detail about the impact of the pay gap, how small differences compound over time, but also the tactics women can use to avoid poverty in old age. If you have questions about this podcast, or an idea for next time, come and have a chat to me. I’m on Twitter here and Facebook here. You can also subscribe to this podcast on iTunes here.